Chrysler Group LLC has accused former parent Daimler AG of refusing to honor contracts to supply components and thus threatening production at some Chrysler factories. The allegations are contained a lawsuit filed Friday, August 21, in U.S. Bankruptcy Court in New York. Daimlers conduct threatens to shut down Chrysler Groups manufacture of key product lines, said Chrysler spokesman Gualberto Ranieri. Daimler said it rejects Chryslers claims. We believe these claims are without merit, and we will defend ourselves vigorously, said Daimler spokeswoman Julia Engelhardt. The dispute stems from Daimlers claim that Chrysler owes it 55 million euros (about $78.7 million) to compensate for reduced volume for the 2.2-liter diesel engine Daimler has supplied to Chrysler. The diesel is used for European sales of such models as the PT Cruiser. Daimler says it owed this amount because Chrysler didnt buy as many of the engines as it had said it would. The complaint says Daimler is refusing to supply steering columns and torque converters in order to pressure Chrysler to make the volume-shortfall payment. Chrysler Group believes that Daimlers misconduct is designed to extort a settlement by wrongfully withholding crucial parts that Daimler has contractually committed to supply to Chrysler Group, Ranieri said. He said that Grand Cherokee production at the Jefferson North assembly plant in Detroit is threatened, as well as production of the Dodge Charger and Challenger and Chrysler 300/300C in Brampton, Ontario, Canada. Ranieri called Daimlers action a direct violation of the April 17 settlement agreement later approved by the Bankruptcy Court. 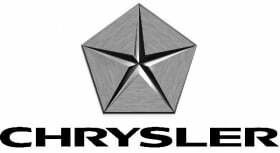 Chrysler filed for Chapter 11 bankruptcy on April 30 and emerged under the control of Italys Fiat S.p.A. on June 10.